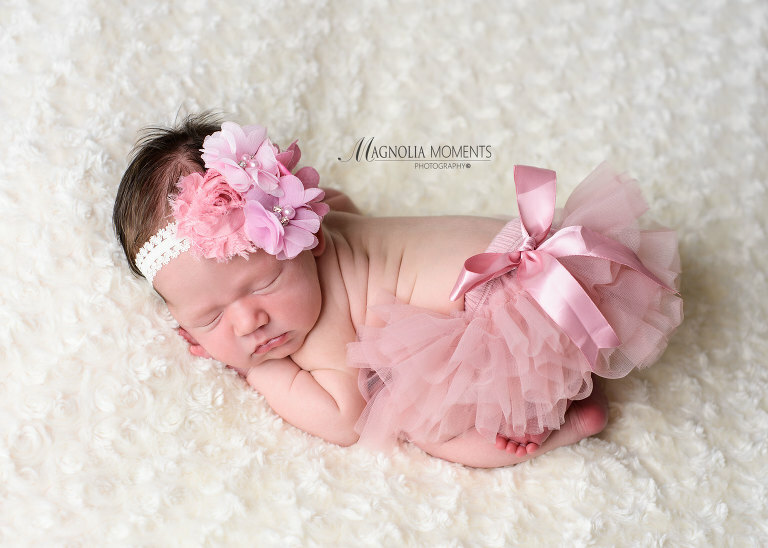 Newborn baby clothes are always adorable, and for baby girls, flowers and ruffles never disappoint. Spending the morning with this little lady was a treat. 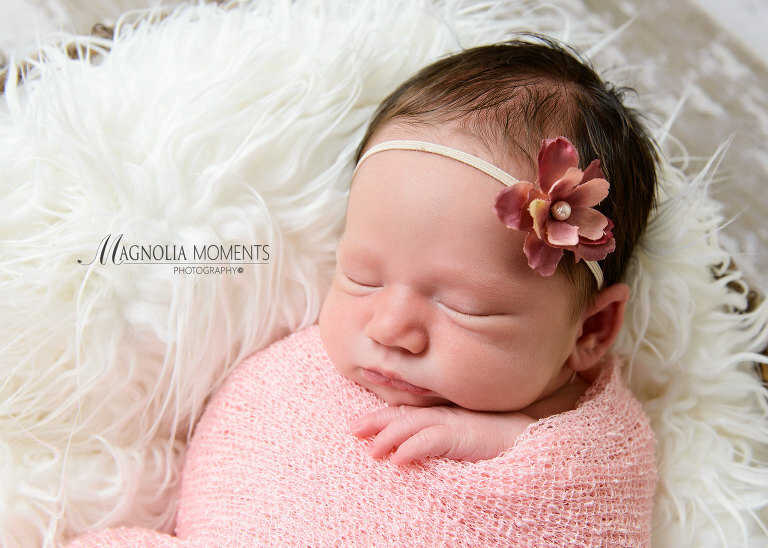 Thank you R family for choosing Magnolia Moments Photography as your Phoenixville newborn photographer. I hope to see you again soon! 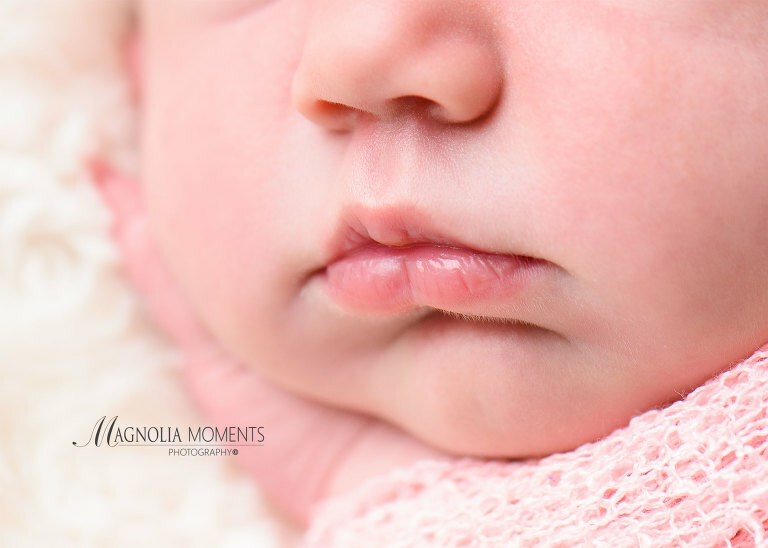 To see another newborn baby pic post, please visit our collection of newborn posts on our blog here.